Manufacturing processes are changing. New design and development solutions, including additive manufacturing, are allowing the production of highly complex parts to realise new innovative designs and enable individually tailored manufacturing outcomes. We want to connect manufacturing businesses to emerging technologies and help create an innovative ecosystem producing smartly, efficiently and safely. We believe this will help grow future economies. 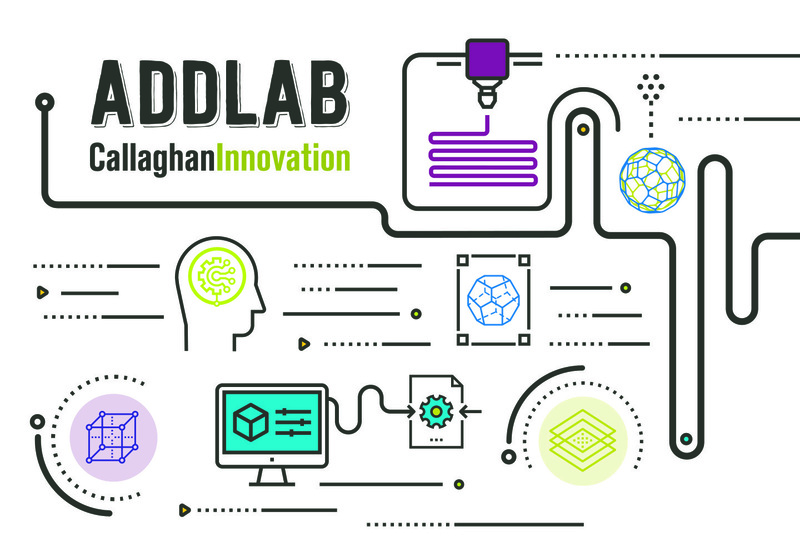 Callaghan Innovation has developed AddLab to inspire and enable more New Zealand businesses to explore new research and development (R&D) territory through additive manufacturing. We want to work with ambitious manufacturing businesses to help you determine whether, and how, you can capitalise on the opportunity to use additive manufacturing as part of your development strategy. AddLab is designed to help you explore new business opportunities and find new solutions to your R&D problems through growing capability in new design, materials and manufacturing technologies. Provide opportunities for businesses new to additive manufacturing to consider it as a complete or component-parts solution. Span the gap between early stage product development research and any work required to commercialise it. We offer bespoke R&D services and can help you develop and prove concepts as well as connect you to commercial providers, partners and advisors. New to additive manufacturing or already using additive manufacturing? We offer combined advisory services and trial AddLab printing services starting at $1500 + GST. Contact us to find out more about how we can help your R&D progress faster.